With a name like Casino.com, you’re never likely to forget the URL of this site. They aren’t based simply on a name though, as they also offer some great games, as well as a number of other outstanding features to players in New Zealand. Why not find out about this popular casino by reading the comprehensive Casino.com review here on this site? There are absolutely loads of different online casinos open to players in New Zealand, thanks to the popularity of online gambling in the country. This choice is undoubtedly a good thing, however it does throw up a welcome problem – how do you choose the online casino that is perfect for you? The answer is a simple one: all you need to do is read through the different reviews on this site. After doing so, you’ll have all of the information you need to make the perfect choice. While the customer support might not be the best around, Casino.com impress in pretty much every other area, meaning that this site is undoubtedly a good choice for many online casino players in New Zealand. Why not find out more by reading the rest of our Casino.com online casino review? Like the vast majority of online casinos in New Zealand, Casino.com can be played by downloading the software to your computer, or by accessing the site using your browser and using the Flash site. The latter is without doubt the most popular method amongst players, as most don’t want to clutter their computer up with even more software. Where Casino.com differs from many other online casinos in New Zealand is the fact that they are a Playtech casino. This means that all of their games come from this hugely reputable company, who have been producing great online casino games for many years. The fact that Casino.com is a Playtech casino makes it very attractive to some players, as it means that they’ll be able to play something different to the usual Microgaming titles found at most online casinos. Nowadays, playing at the vast majority of online casinos – including all of the online casinos recommended on this site – is completely safe, thanks to the many different security features they employ. This is certainly the case when it comes to Casino.com. The most important thing to mention is that they are licenced by the Gibraltar Licencing Authority, an organisation that monitors the casino to ensure that they are not doing anything dishonest. There is no mention of eCOGRA verification though, although it is undoubtedly still completely safe to play at this site. They are members of the Independent Betting Adjudication Service, and the site’s encryption technology has been approved by Thawte, meaning that all of your transactions will be securely protected. Next in this Casino.com review is the banking – a really important aspect to consider for any online casino player. Anyone playing at Casino.com should be able to find a method that is suitable for them, including PayPal – a payment method not offered at many online casinos in New Zealand. The minimum deposit amount is also a reasonable one, with most methods only requiring a player to deposit NZ$10. 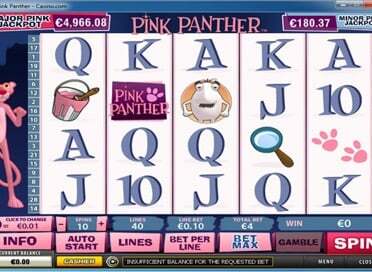 All deposits are also credited to your online casino account instantly. There are also quite a few withdrawal options, however the withdrawal process is slightly longer than at some other sites, as Casino.com say that it takes around three days for a request to be processed – unless you’re a VIP, in which case the processing time comes down to 1 – 2 days. The minimum amount that can be withdrawn is NZ$10, although some options, such as bank transfers, have larger minimum withdrawal amounts. 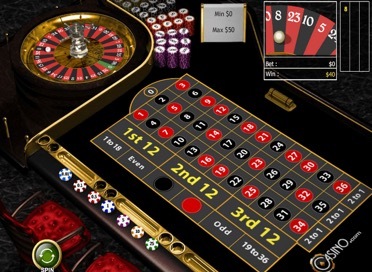 The selection of games at Casino.com is not the largest in the world, however players can be assured that all of the games on the site are exceptionally good. 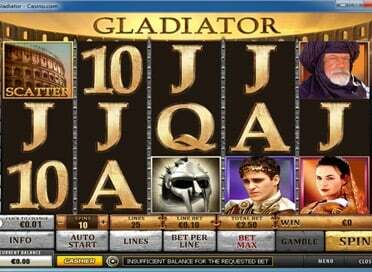 As already mentioned earlier in this Casino.com casino review, the games all come from Playtech, which makes Casino.com a great alternative for those used to playing at Microgaming sites, and this selection of games includes slots, blackjack and roulette. For most players, the highlights are the progressive slots found on the site, including a range of slots featuring the Marvel Ultimate Power Jackpot. The live casino at Casino.com isn’t the largest around, but also certainly isn’t the smallest, and all of the live dealer games are of an extremely high quality. There’s no doubting the fact that customer service can make or break a player’s online casino experience, so how do Casino.com fare in this area? Well, unfortunately they don’t offer the largest range of contact options, with the biggest problem being the lack of live chat for players to use. Instead, players in New Zealand will need to call the site in order to speak with someone, or they can send an email. The lack of support options is slightly made up for by the many different Help sections found at the bottom of each page though. Overall though, the customer support at Casino.com falls short of the standards set by some other online casinos. Casino.com offer a massive range of different bonuses to all players, which is always absolutely fantastic to see. The most logical place to start when looking at this site is the welcome bonus, and it is one of the best ones around! The reason it is so good is simple: it can be worth up to NZ$3200, which is higher than nearly every other casino welcome bonus out there. You’ll get a 100% first deposit bonus, which is worth up to NZ$400, and you’ll then receive six further deposit bonuses, which can take the amount up to the aforementioned NZ$3200. This huge welcome bonus has to be the highlight of this entire Casino.com casino review! Once you’ve finished with the welcome bonus, you’ll still find many other promotions at Casino.com though. As with most online casinos, there’s a loyalty scheme, which allows you to earn points while you play, plus you’ll also find reload bonuses and special promotions for certain games. You should also check back at Casino.com regularly, as they often add new and exciting bonuses and promotions to their already impressive line-up. Our Casino.com mobile review is designed to let you know whether you’ll be able to play at this casino with your mobile device, and what to expect when you do. The most popular type of mobile device is in New Zealand is Apple, and all owners of Apple iPhones and iPads will easily be able to play at Casino.com, simply by heading to the site via their browser. There is no app for Apple players, however this is not uncommon in the world of online casinos, and the site accessed via a browser is more than good enough to make up for this. If you’ve got an Android device, such as a phone or tablet from Samsung or HTC, you’ll also easily be able to play at Casino.com via your browser. As with those playing using an iOS device, Android players will have loads of different games to choose from, all of which have been specifically optimised for mobile use. What’s more, many of the games have huge prizes, and these include some progressive slots. Some online casinos don’t cater particularly well to those looking to play using a Windows Phone, however, just like Android and Apple devices, Windows Phones can also access the Casino.com mobile site using their browser. What’s more, Windows Phone players will also have access to the same range of fantastic games as users of other devices. Finally, BlackBerry users aren’t missed out either, and can also play at Casino.com with ease. Therefore, pretty much everyone can access the Casino.com mobile site, regardless of their device, which is clearly a great feature of this popular online casino.